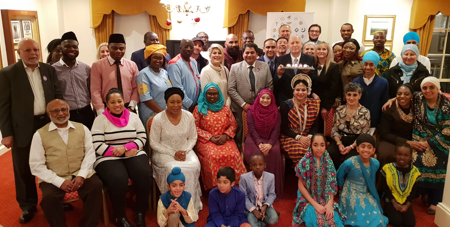 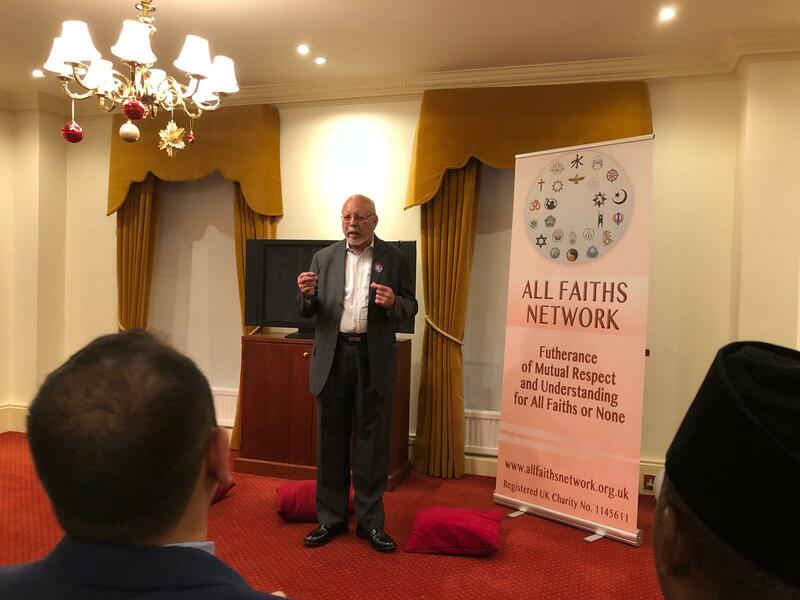 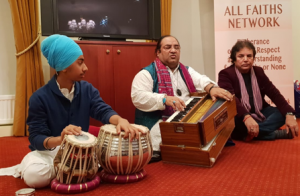 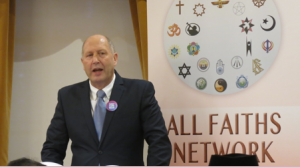 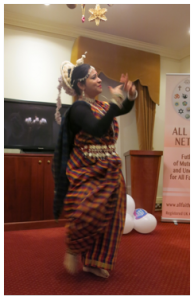 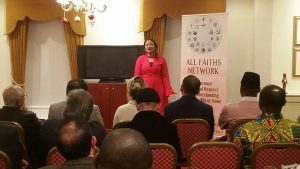 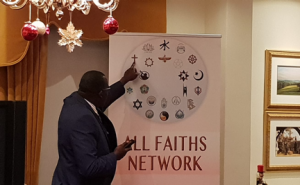 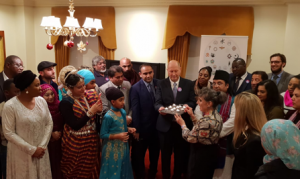 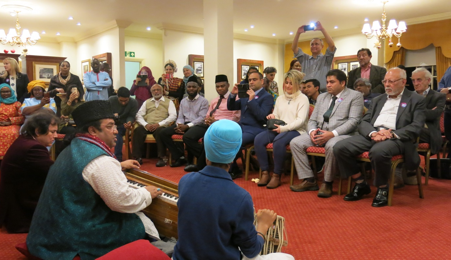 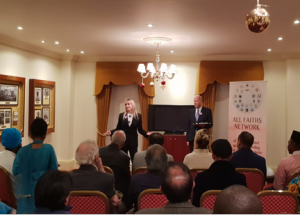 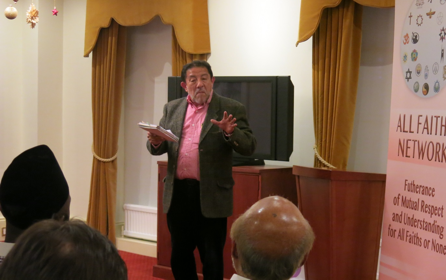 After attending a number of interfaith events during the week the All Faiths Network launched its own event on the evening of Friday 16th November creating a truly inter-religious and inter-cultural event of music, dance and food brought by different participants. The talented performers were Sufi singers, a Hindu dancer, a Christian Psalmist, a Muslim Bengali singer and a performance of song, poetry and chant from a group of Sikh children. All were inspired and we even had the impromptu request from a young Christian girl of 4 years old who wanted to sing about her faith – so she was given the floor – ending in great applause. 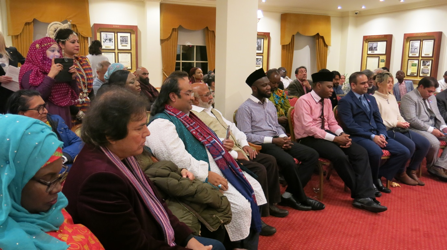 Interspersed between the performances were short talks about the value of interfaith from about 10 different religious speakers. 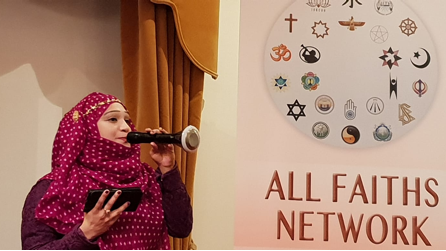 Navleen Kaur, from the Holland Park Gurdwara, said, “In the Sikh faith, Chardikala is when your spirit is forever rising. 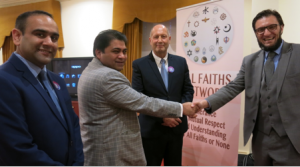 Truly living and working with people of other faiths goes beyond any differences. 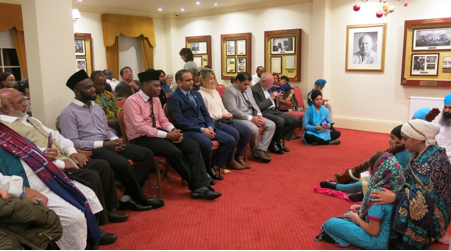 We train ourselves to rise above duality, inequality and hatred. 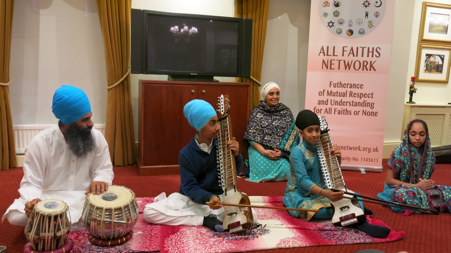 The latter are converted to determination, humility and selfless service- the way of a Sikh. We recognise the human race as one, there is no difference as we stand together in prayer as one human family.”. At the end of the event the performers and speakers lit a candle as a symbolic show of unity to demonstrate that faiths can live and shine together without conflict and in a spirit of creation and cooperation. 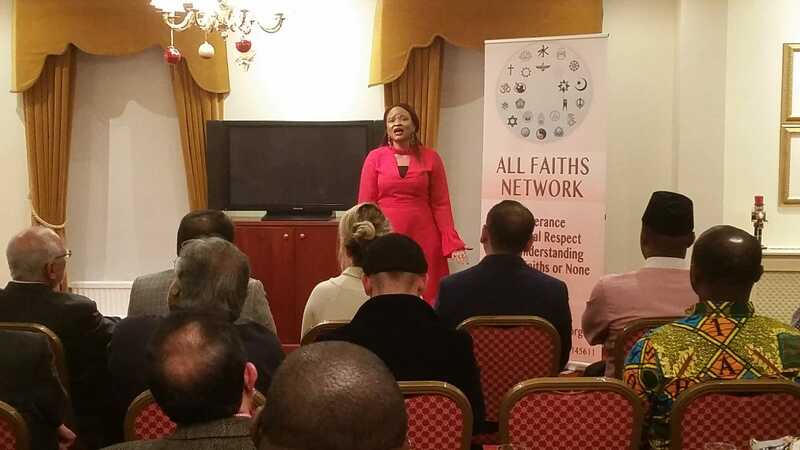 The event was jointly held with the Church of Scientology London and held at 37 Fitzroy Street, a 1791 listed building. It now houses a museum on four floors, illustrating the life and work of L. Ron Hubbard.